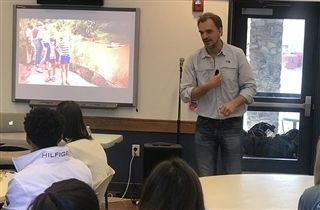 On November 6, KCD upper school students welcomed guest speaker and lion attack survivor Richard Field. Mr. Field discussed the importance of taking personal responsibility in successful leadership. Students and teachers also learned about overcoming obstacles from his talk.